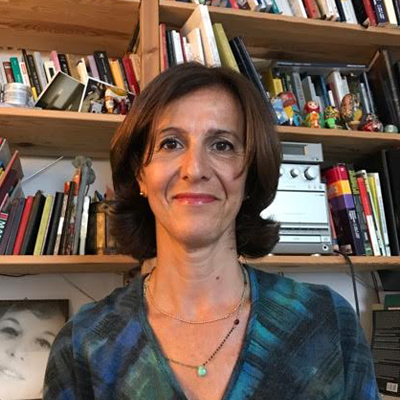 Silvia Vignato, Associate Professor in anthropology at Università di Milano-Bicocca (UNIMIB), teaches undergraduate and graduate students and supervises M.A. and Ph.D. thesis focused on Southeast Asia. Beside a monography about Indonesian Hinduism in North Sumatra, she has published articles about Malaysian factory workers and manpower agents for migrants and about post-conflict and post-disaster young Acehenese people (children, teenagers, young parents). She now carries out research on work, marginal environments, gender, evolving structures of families in Indonesia (Aceh) and Malaysia. She is Vice-president of EUROSEAS, WP leader in Seatide 7th Frame Project of the EU and chief editor of Antropologia. In this paper I ask in what way and to what extent the structure of matrifocality copes with destructive episodes like the 2004 tsunami and a civil war in Aceh through the analysis of a very poor, diminished household and its evolution (2008-16). The story of a decaying house issued from an agency of Humanitarian Aid after Tsunami, of its symbolic value in a reconstructed landscape and of its transformation into the sign of poverty does not match the reconstruction of an inner “structure of feeling” such as the matrifocal attitude of the women and men inhabiting it. In this seminar, I shall address a specific moment of the small-scale rural drug dealing in the West Coast of the region of Aceh, Indonesia. I will first introduce my ethnography, which was never presented so far. I will describe the village, a famous centre for drug dealing, and its discourse on drugs. I shall introduce two biographies of the first and the second generation drug dealers and subsequently, the gendered spaces of drug dealing and drug economy. Trial and imprisonment will be included in this part. I underline that the big capitals of drug import/export are not going to be considered as I carried out no enquiry about them. I shall then look into the symbolic exchange between locally grown ganja, one of Aceh delicacies and massive token of exchange against weapon during the civil conflict, and imported sabu-sabu, crystal meth through the accurate ethnographic description of a successful small dealer – successful insofar as he hasn’t entered jail yet. Ideals and imaginary benefits as well as embodiment of a shared practice will sustain this part of the presentation. I will conclude trying to focus on “the problem of drug” in Indonesia and Southeast Asia. Dans ce séminaire on montrera le film Rezeki – gold and stone mining in Aceh (Parsifal Reparato, Giacomo Tabacco et Silvia Vignato) dans sa double version – usage scientifique et (partiellement) circulation pour les festivals de cinéma. On présentera les défis méthodologiques lié à un usage non-professionnel mais professionnalisant de la caméra ainsi que du défi de travailler ensemble sur le même terrain. Dans ce séminaire, je montrerai comment la notion d’”élite”, de privilège et de pouvoir se constitue et transforme auprès des jeunes marginaux en Aceh. Je détaillerai le type de pouvoir que leur est attribué ( trouver du travail, être soigné en priorité aux hôpitaux publics, avoir plusieurs femmes etc.). En particulier, je prendrai le cas des dealers.